To register VAT in UAE and meet with various other taxation requirements, the Federal Tax Authority of UAE has made it a mandate for companies to appoint a registered tax agent. Defined under the Federal Law No. (7) of 2017 on Tax Procedures - commercial entities are required to have a tax agent who would represent the authority on behalf of the commercial enterprises or businesses and assist these companies with the tax obligations and the exercises associated to taxation. Ascertaining the same, Shuraa Tax Consultants and Accountants offers reliable tax agents to serve through various taxation needs of your company. At Shuraa we record and affirm your financial dealing as your appointed tax agent or even help you to get tax agent registration in case you would like to have a personalized tax agent. Shuraa Tax Consultants and Accountants houses tax agents those are proficient in taxation laws of the UAE; speak Arabic and are familiar with the official proceeding of the Federal Tax Authority. Moreover, our tax agents are updated with the new provisions made by the authorities and are intimated regularly. Shuraa's UAE and Dubai tax agents enable you to understand the taxation policies applied to your company as well as guide you through the internal and annual assessment procedures. Shuraa Tax Consultancy is a Federal Tax Authority Certified Tax Agency in Dubai, UAE. 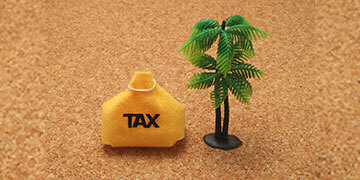 We have an inhouse FTA certified Tax Agent to cater all your taxation obligations. Our tax agent helps VAT-registered businesses with their tax affairs and concerns.